James Roscoe Teeple, of Paisley, passed away Monday, January 28, 2019 at Brucelea Haven, Walkerton. Survived by wife Gladys (Jones) of 60 years. Dear father of Ron (Sandy) of Paisley, Doug (Christine) of Chase, B.C., Helen (Bryan) of Southampton and David (Mary Ellen) of Paisley. Grandfather of Catherine (Richard), Callan, Cole, Reagan (Kyle), Sarah and Hayden. Great-grandfather of Alexa. Survived by brother Harold (Joan), brother-in-law Kenneth Jones (Sheila), sister-in-law Marg Jones and several nieces and nephews. Predeceased by brother Russell and his wife Lois, in-laws Evelyn and Allan Ribey, Ruth Ann Jones and Bryan Jones. Also predeceased by parents Chester and Rita Teeple and in-laws Harold and Helen Jones. 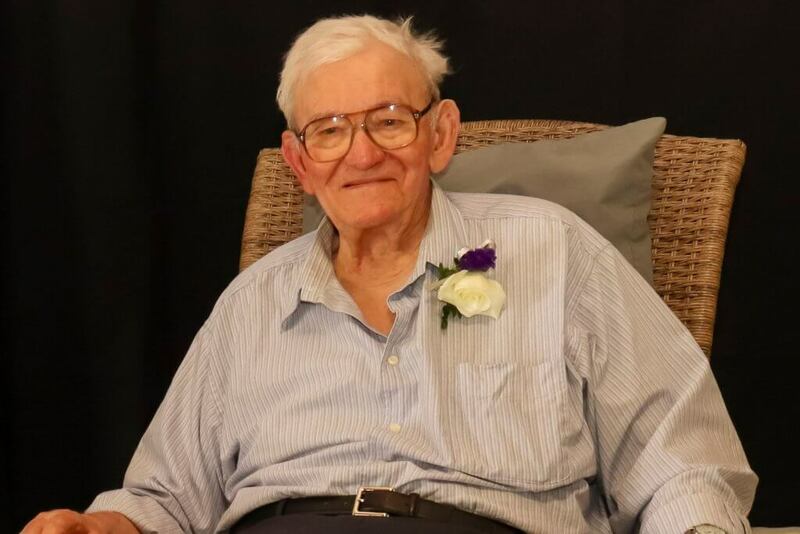 Visitation will take place at Knox United Church, Paisley on Friday, February 8, 2019 from 7 – 9 p.m. The funeral service will be held on Saturday, February 9, 2019 at 1 p.m. Spring interment at Starkvale Cemetery, Paisley. Memorial donations to the Bruce County Heritage Association would be appreciated as expressions of sympathy by the family. Online condolences may be made at www.greybrucecremation.com.